With the popularity of Ishida Kobe beef teppanyaki and yakiniku restaurants in the city of Kobe, Ishida and Ishidaya has opened new restaurants in Okinawa on the Island of Ishigaki at 730 COURT. Operated wholesale, guests can enjoy an assortment of outstanding fresh food, as well as difficult to find beef. 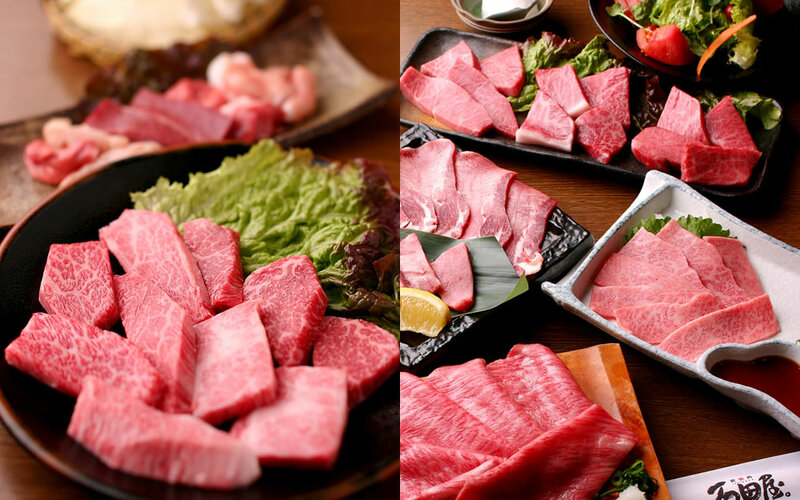 A lineup of a variety of premium beef is available, including carefully selected JA certified Ishigaki beef, Ishigaki Black Beef Wagyu, as well as specially selected beef by Ishidaya. 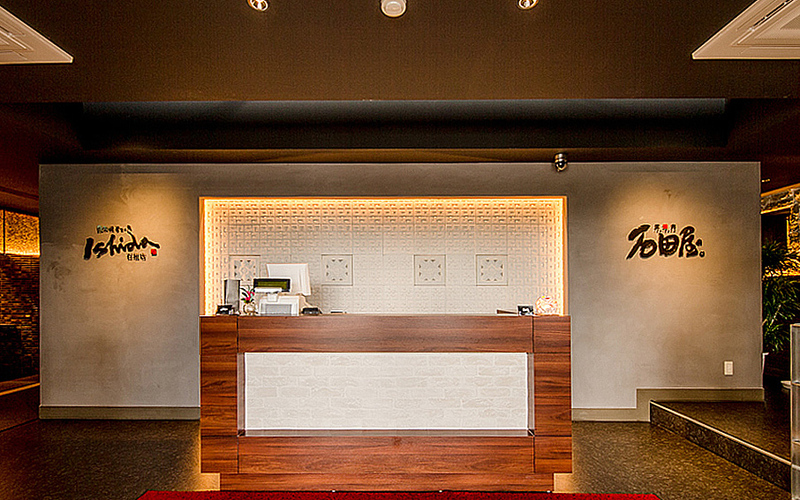 Guests can enjoy either “yakiniku” (Japanese barbecue) where you grill the meat yourself or “teppanyaki” (Japanese steakhouse) where expert chefs cook the meat to perfection right before you. Please feel free to make a reservation and try the succulent melt-in-your-mouth Kobe beef or exquisite Ishigaki steak, a truly sublime experience you won't forget! The rank of wagyu is divided into yield grades of A, B, and C (with A being the highest yield grade) and is also graded with a rating of 1-5 for its quality. The “B.M.S. No.” or Beef marbling standard is the rating for the degree of marbling which is graded from 1-12. Ishigaki beef and certified wagyu requires a meat grading of A5, A4, B5 or B4, and means that Ishigaki beef is high quality and has a high rank. Good quality Ishigaki beef has lots of essential nutrients for your health and developing a healthy and beautiful body, therefore we recommend it for those that pay attention to their health. Ishigaki Island is surrounded by beautiful coral reefs, sandy beaches and the ocean, with the Island being highly regarded around the world, and many visitors coming to see its picturesque resorts. Though the resort hotels and shopping malls are modern and fully replete, venture towards to the alleys and you’ll find traditional red tile roofed housing and coral walls that still remain to this day. 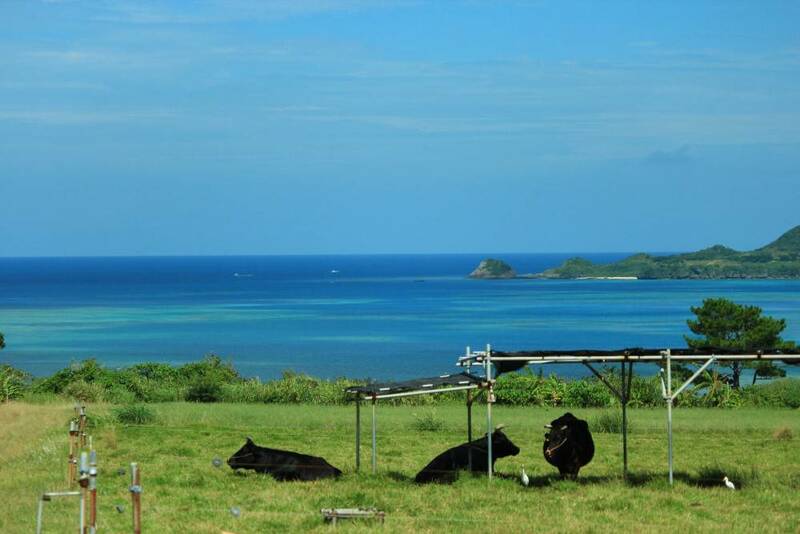 The warm climate of Ishigaki Island makes for an ideal warm climate for raising cattle. In July 2000, Ishigaki beef received wide recognition when it was served as the main dish at the Kyushu-Okinawa Summit banquet.